(Scotiabank Field at Nat Bailey Stadium - Vancouver, B.C.) 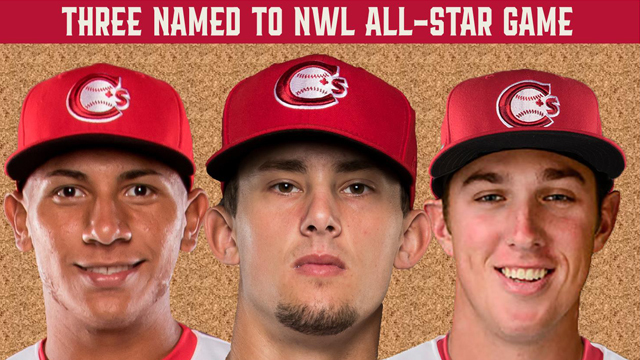 - The Vancouver Canadians Baseball Club will be represented by three (3) players at the upcoming Northwest League vs. Pioneer League All-Star Game set for Tuesday, August 2nd in Ogden, UT. 2B Cavan Biggio, RHP Patrick Murphy and C Javier Hernandez were selected by managers from across the Northwest League. Of the three players attending the midsummer classic, it will be Biggio that will be in the starting line-up for Team NWL who is comprised of 31 players from the eight-team league. Biggio, 21, was selected by the Toronto Blue Jays in the 5th Round of the 2016 MLB First-Year Players Draft after playing his collegiate career at the University of Notre Dame. In 30 games with the Canadians this season, Biggio is hitting .284 (33-for-116) with 11 RBI and 14 walks (.373OBP). Hernandez, 20, was signed by the Blue Jays as a non-drafted free agent in 2013 at the age of 17. With the Canadians, Hernandez is hitting just .239 (21-for-88) with one home run and nine RBI, but is considered one of the best defensive catcher's in the NWL with a .978 fielding percentage and a league-leading 35 assists. Murphy, 21, was selected in the 3rd Round of the 2013 MLB First-Year Player Draft by the Blue Jays and started the season with Lansing of the Midwest League going 0-1 with a 4.29 ERA. Since his arrival in Vancouver, Murphy has gone 2-3 with a 2.50 ERA, the second best earned runs average in the league. Murphy has struck out 29 and walked just 13 in his seven starts in the NWL. The Vancouver Canadians Baseball Club congratulates all players from within the Northwest League on this mid-season accomplishment and safe travels to Ogden, UT starting next week. Canadians Baseball is live tonight from Everett Memorial Stadium as the C's open up a three-game road series against the Aquasox starting tonight at 7:05pm. Listen Live to tonight's game with CJ Pentland at www.canadiansbaseball.com. The Vancouver Canadians return to Scotiabank Field at Nat Bailey Stadium on Friday, July 29th at 7:05pm for a three-game series against North Division rival Tri-City. 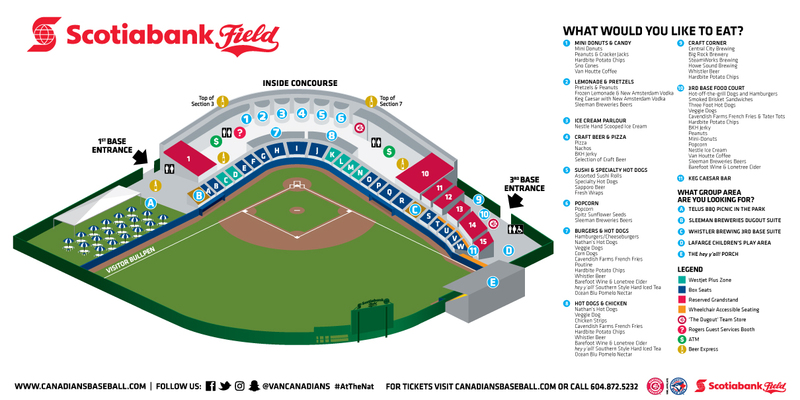 Tickets are available by calling 604.872.5232, online at www.canadiansbaseball.com or by visiting the Nat Bailey Stadium Box Office at 4601 Ontario Street, Vancouver, B.C.